Volume sales of beef, lamb have all seen a decline over the 12 weeks to 28 February, according to the latest Meat, Fish and Poultry (MFP) figures from Kantar Worldpanel. Beef saw a 2.4% drop in volume sales and a 1.8% drop in value, lamb experienced a 0.5% drop in volume sales. 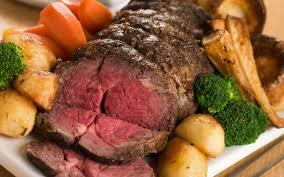 Roasting joints are behind the decline across the red meat sector. The Why wait til Sunday?‘ campaign is part of AHDB Beef & Lamb‘s marketing programme aimed at showcasing Quality Standard Mark (QSM) and Red Tractor lamb and beef to British consumers but excluding Muslim consumers as both these organisation do not recognise or certify any abattoir that is slaughtering Halal on the base of religious slaughter, which in turn will exclude all Muslim independent butchers shops here in UK. AHDB Beef & Lamb‘s Jetpack Journey Home‘ will promote lamb and beef mini-roasts as a quick, easy and versatile midweek meal and is being supported by extensive digital and press advertising and PR campaign as part of a wider £1.6 million consumer marketing campaign to promote lamb and beef consumption again the Muslim community are excluded as that is not type of cuts that the Muslim independent butchers would recommend to their Muslim customers. The £1.6 million consumer marketing campaign spent by AHDB has seen a decline in Beef and Lamb sale due to the fact AHDB have not interacted with the Muslim Independent Butchers or with the Muslim abattoir. This year for the promoting Halal market a budget has been allotted that the marketing campaign for Halal has been increased by over 33% from £150,000 to £200,000, my question is how can AHDB spend £1.6 million on a campaign to promote Lamb and Beef with such disastrous result and yet no one is been held accountable or the very least an enquire into such bad management of levy spending should be held. Jane Ritchie-Smith, AHDB Beef & Lamb head of consumer marketing, said “Our approach is part of a strategic promotional campaign aimed at stimulating demand, but also illustrates how AHDB Beef & Lamb is supporting the supply chain, how can that be when over 60% of the UK independent butchers are been ignored due to their religious beliefs that’s over 3000 halal butchers shops here in UK.